Love to increase productivity and decrease staff turnover in your business? Here are five ways to inspire and motivate your employees. It pays to keep your employees happy. Staff who feel unappreciated are more likely to lose motivation and be less productive as a result. You may also find that staff turnover is high and as a result you are constantly training up new starters. So, if you employ people in your business, it’s worth investing time and money to inspire and motivate them – and hope they’ll be happy to stay with you, and continue to work efficiently. So, how are you going to do this? Here are five ways you can inspire and motivate your staff. If you suspect your staff feel like their hard work is going unnoticed then make sure they know that this isn’t the case by offering incentives. You will find that your employees are more motivated when they are working towards something – whether that is a bonus or a promotion. But make sure you set realistic goals for them to aim for and make sure they understand their career path. This will benefit the company as your employees work harder to earn these incentives and retaining employees for long periods of time will also be encouraging for those looking to apply. You can’t expect your employees to progress if you don’t give them the opportunities to do so. Offer them training and they will be able to better themselves, providing them with another string to their bow. This can be added to their CV and in turn will also benefit the company as they apply what they learn to their everyday tasks. The training provided could help them perfect an existing skill or learn a brand new one. Your staff spend the majority of their day in the office, and they’ll get more done if they feel happy and relaxed than they will if they feel stressed. So you need to make sure it’s an environment they enjoy being in. For example, you could provide breakfast to get their day off to the best start, or offer a pool table to give them a break from their desk. Did you know that more than a third of employees admit perks and benefits are among their top consideration before accepting a job? Here are some of the best company perks to give you some inspiration. 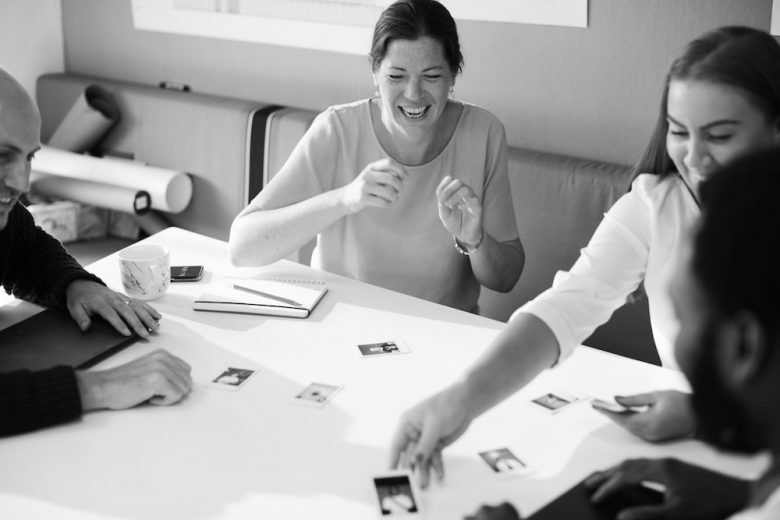 Social events are a great way to reward your employees’ hard work and help them to form closer friendships, which as a result will mean they work better together. You could combine a seasonal party with an award show – where a special guest hands out trophies to those that have excelled during the year. You need to communicate with your employees and set an example that they can be inspired by. You must show them you believe in the company and are excited about the direction that it is heading in, so that they are encouraged to help you reach those goals. Of course, this doesn’t always work coming from the boss – who, of course, has an agenda. If you feel this is the case why not invite a motivational speaker to come and inspire your employees instead? But, remember, communication works both ways and you should also give your employees a say in how they do their job – they are best placed to know and you will also empower them with the opportunity to have an opinion rather than just telling them what they have to do. How can you inspire YOUR employees? Making a few changes can really help you to see an increase in productivity and motivation, as your employees feel inspired to do the best they can.